Airwheel Electric Intelligent Scooter Offers you a Green excursion. Abstract: Airwheel has been sticking to the notion about integration of eco-friendly feature and high quality, contriving to provide customers with premium products. Airwheel is appealing to a green lifestyle harmonious with nature in conjunction with addressing the issue of commuting. Over the last decades of years, we has single-mindedly pursued the velocity of transporters, for the velocity means saving time. As the issue of gas pollution due to the fossil fuel is looming, natural disasters crop up in large number. Therefore, human being have to reconsider the importance of protecting environment, calling for the low-carbon lifestyle. Airwheel comes into being under such circumstance. 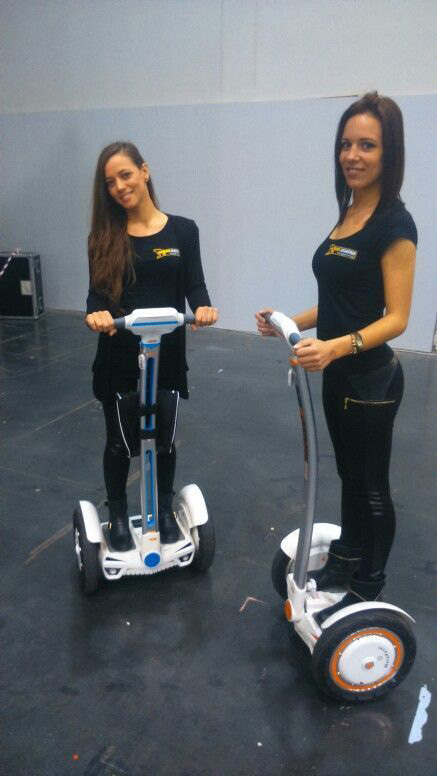 Airwheel electric scooter is one green model alternative to walking, fitted with Sony lithium battery core. While it scoots, it eradicates the exhaust emission good and proper, meeting the demand for low carbon. From its inception onwards, Airwheel has been sticking to the notion about integration of eco-friendly feature and high quality, contriving to provide customers with premium products. Airwheel is appealing to a green lifestyle harmonious with nature in conjunction with addressing the issue of commuting. Previously, the public tend to judge a type of transporter by its top speed. The top speed and capacity becomes the merely criteria for optimal transporter. Now, people start to consider the green transporter in an attempt to relieve the issue of environment. Airwheel intelligent scooter comes as the leader amongst these scooter-makers.